What are the benefits of geofencing? A geofence is a virtual fence for a real geographic area. Geofences can be dynamically generated as a radius around a location, or predefined based on a set of boundaries. 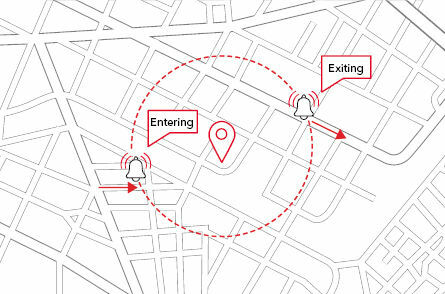 A geofence serves as a geographical perimeter: As soon as a vehicle or other valuable objects equipped with a GPS transmitter enter or are moved outside the geofence, managers receive an automatic notification. Geofencing is particularly relevant for high-security transports and functions as an effective deterrent against cargo theft. Why implement the Geofencing API by PTV xServer? Apply fences around given locations to recognise vehicles entering or leaving your defined area. Calculate corridors along your calculated routes to determine if your vehicles are leaving the predefined paths. API Version 2 will follow soon!